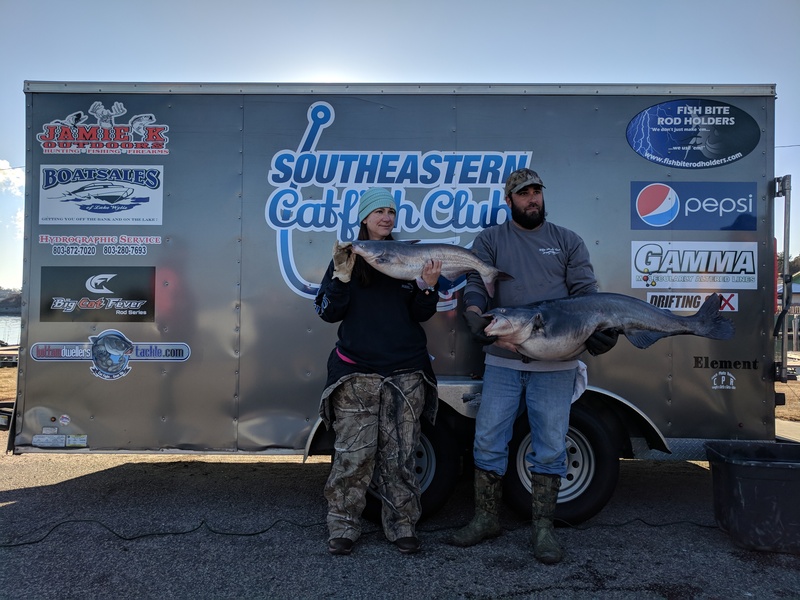 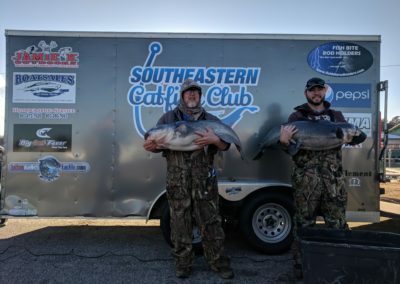 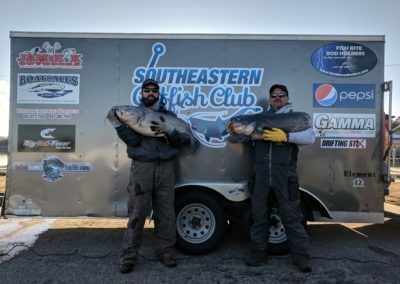 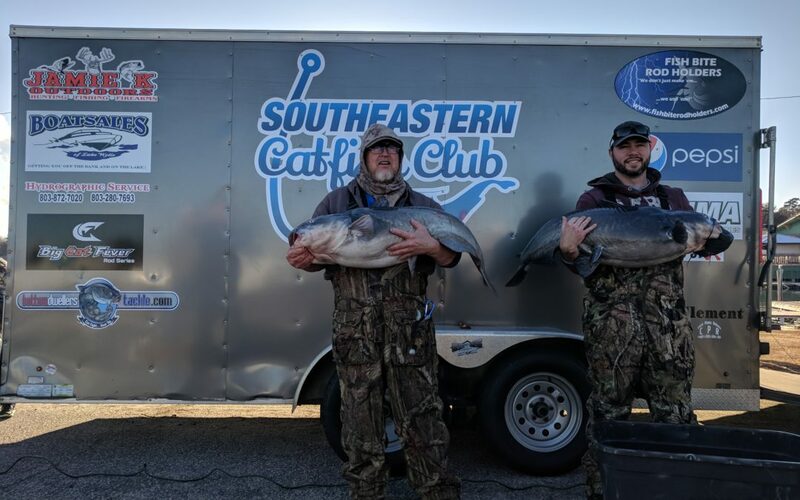 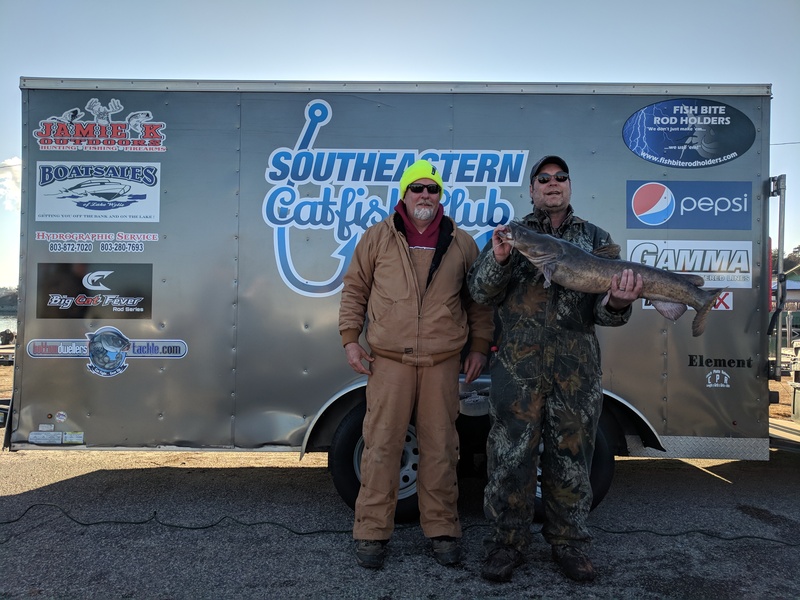 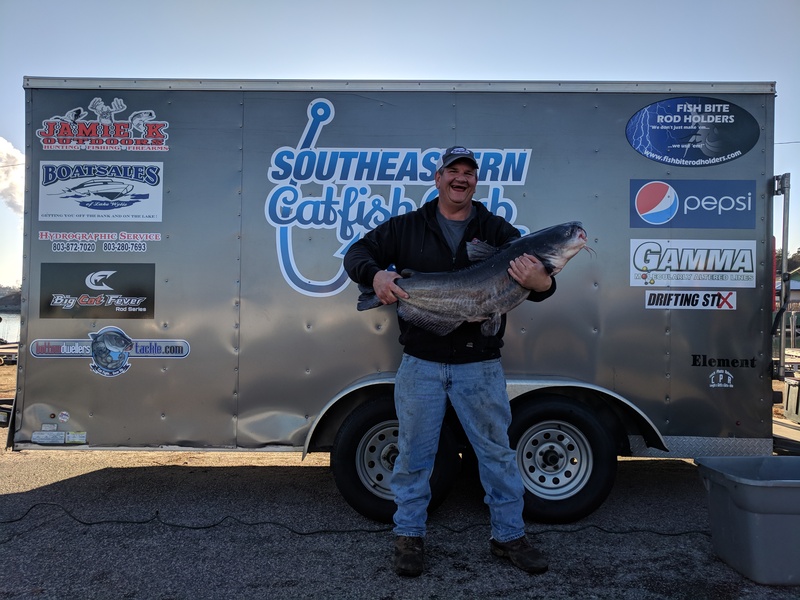 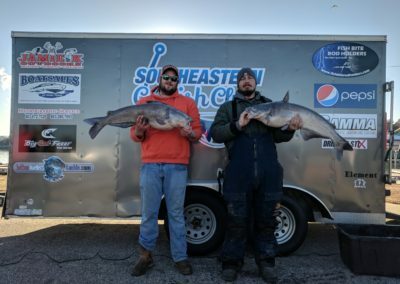 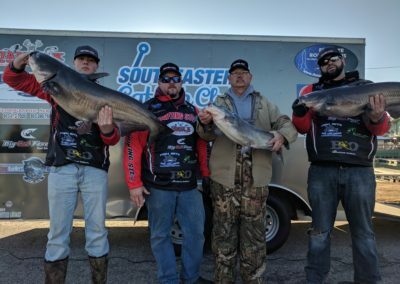 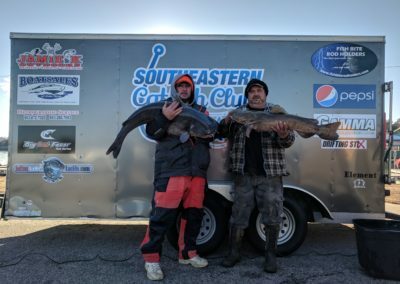 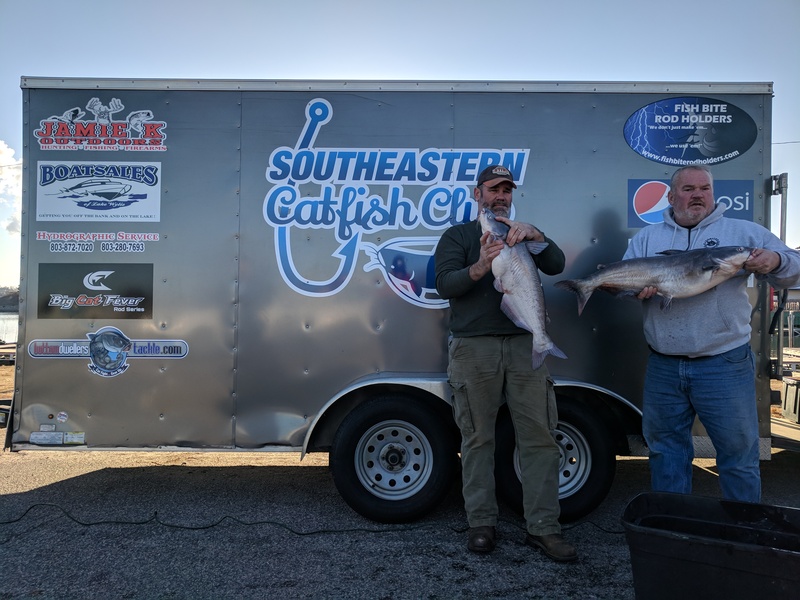 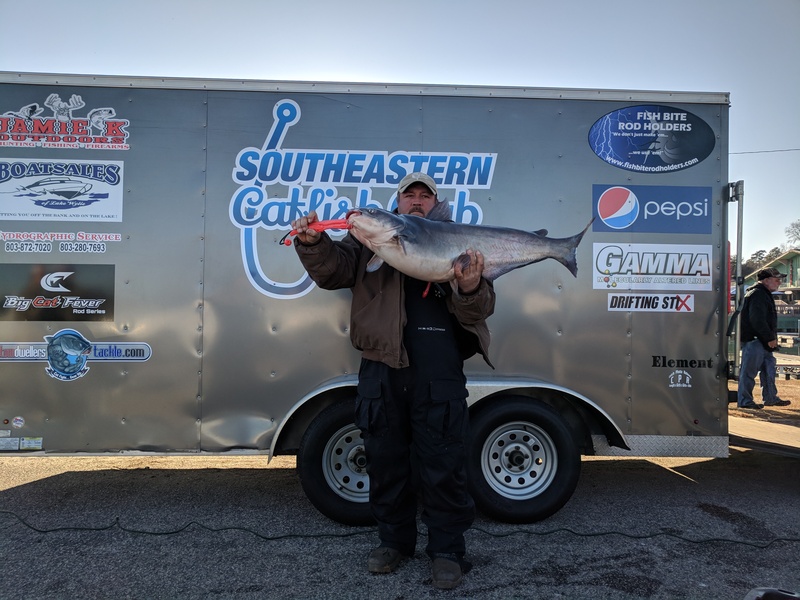 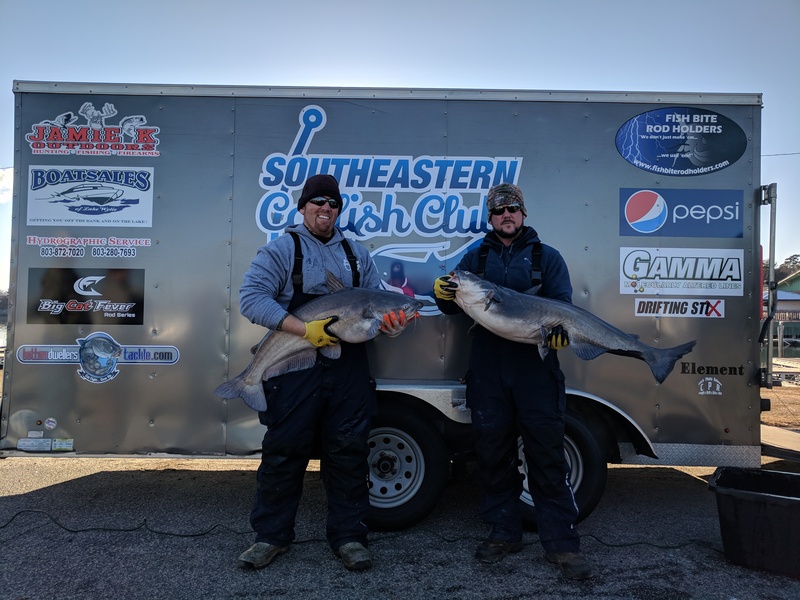 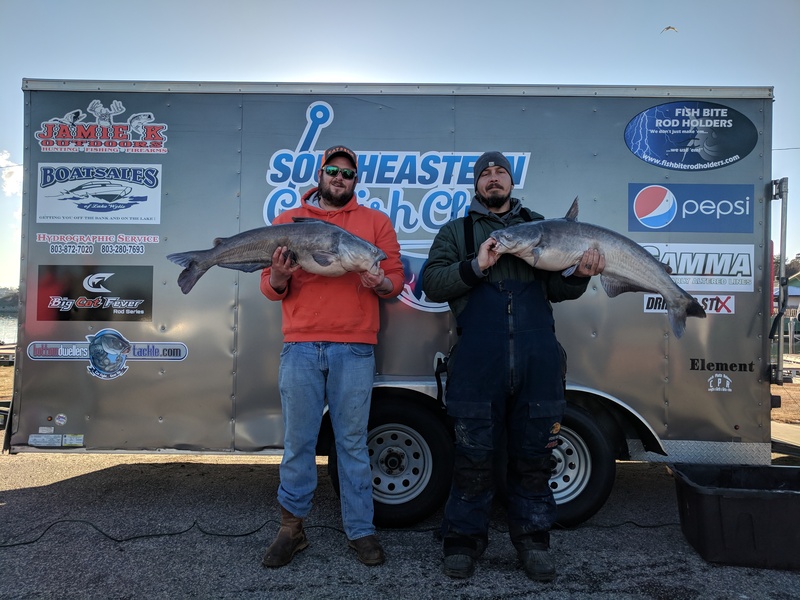 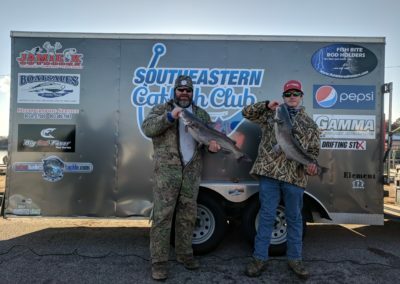 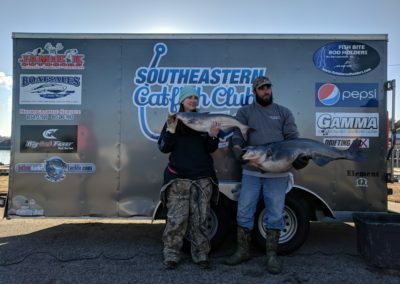 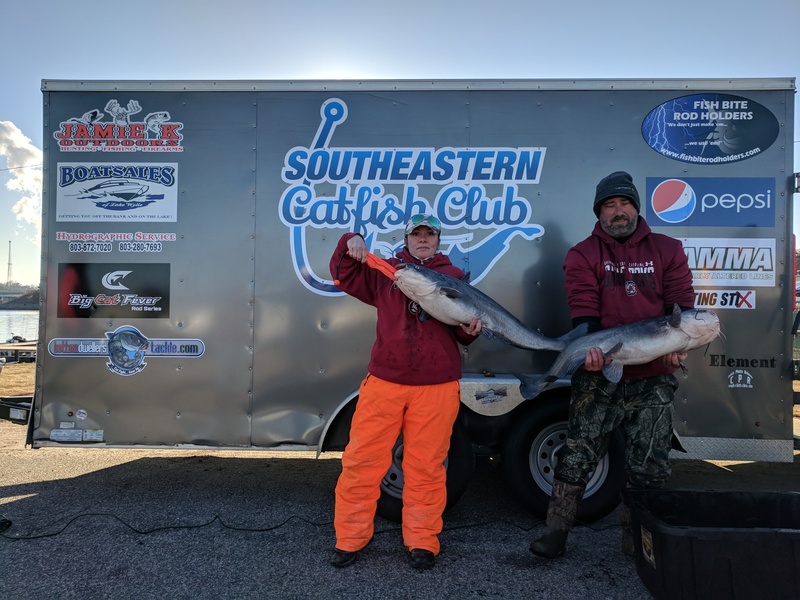 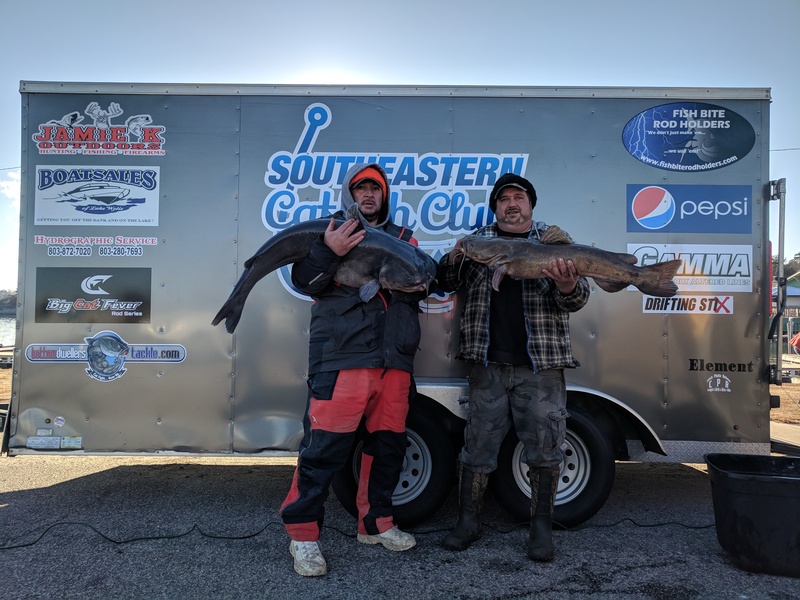 The Southeastern Catfish Club hosted its 5th tournament of the 2017-2018 season on Lake Wylie Saturday, January 6th. Tournament registration opened at 5am sharp, and the temperature was a brisk 12 degrees! 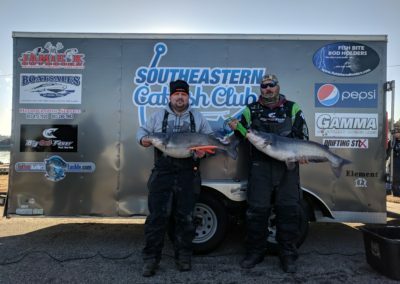 It was definitely to coldest start in recent years giving some teams issues with steering and throttle shifters. 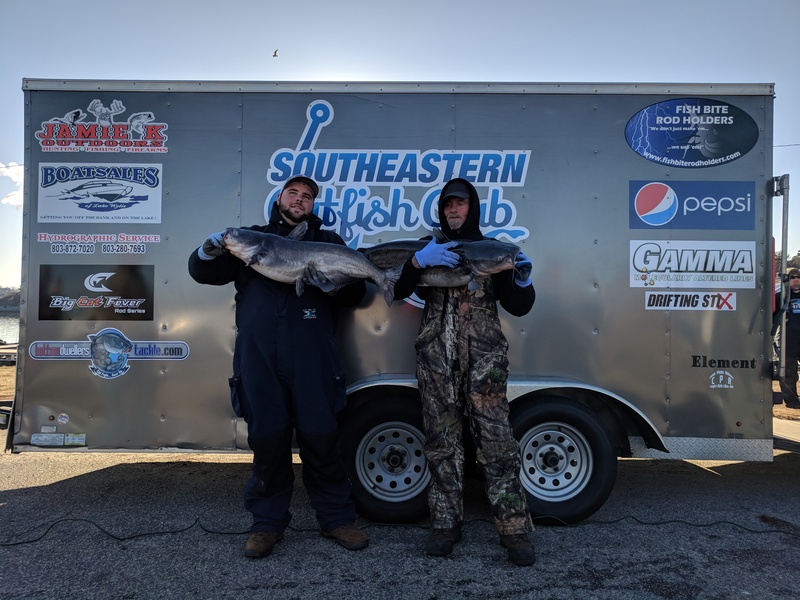 35 teams braved the frigid temps eagerly determined to cash in on the winter bite and compete for the $3,500 purse! Luckily, the wind was calm all day giving teams the chance to easily anchor or drift without much trouble. 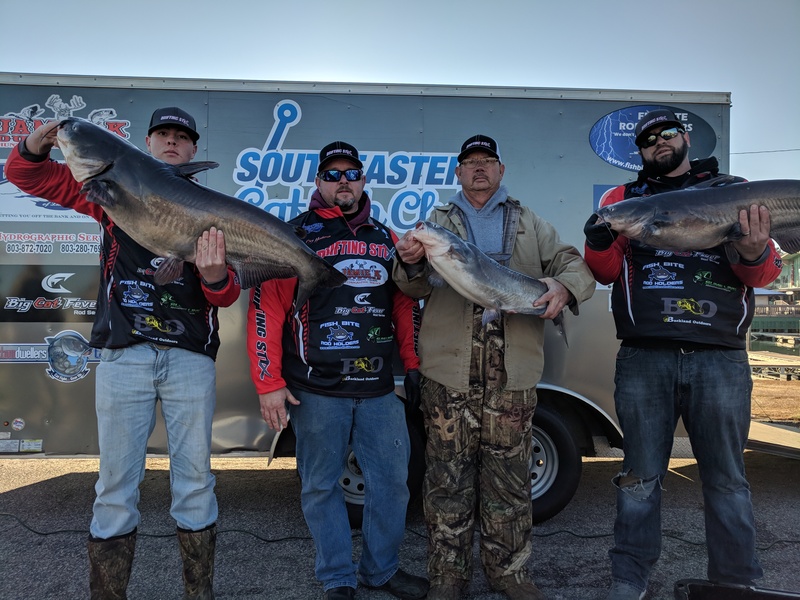 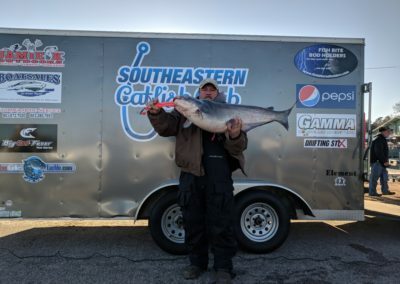 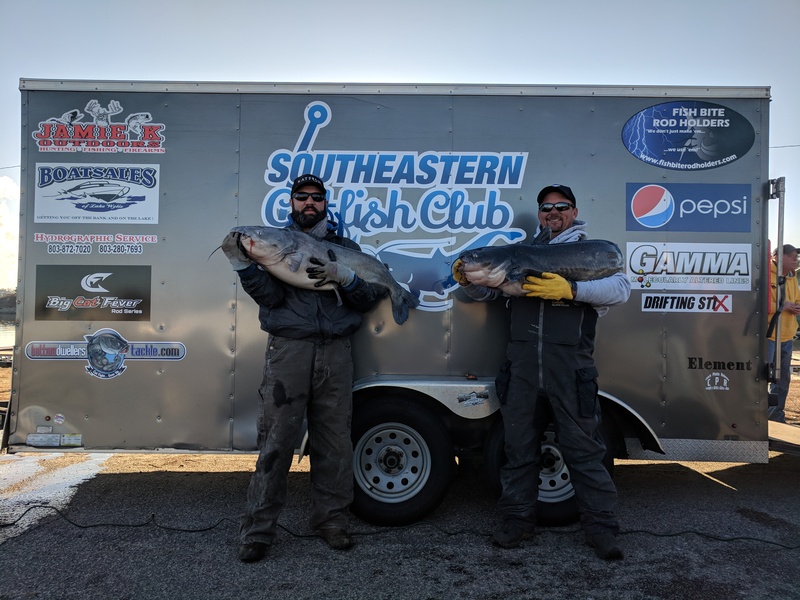 The bite was definitely on with teams bringing in many big fish to the scales and reporting catching double digit numbers as well. 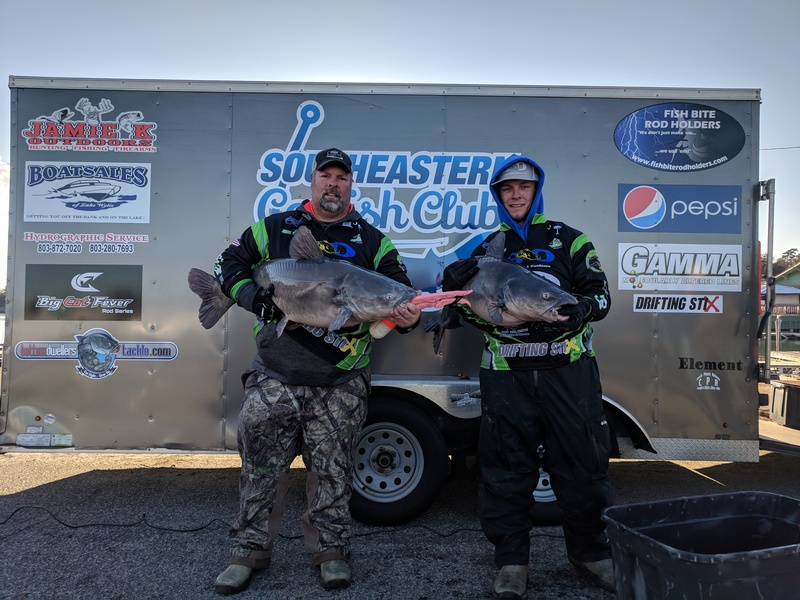 Big fish weights per team were awesome with 10 in the 20s, 5 in the 30s, 5 in the 40s, and 1 in the 50s! In the end, 2016-2017 Points Champions Jeff Manning and Michael Paciocco of Team Reelin’ the Blues took home their first win of the season with a monster 98.99lb stringer. 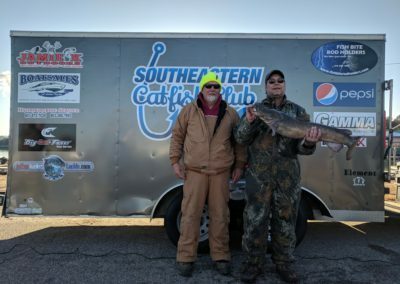 Their 1st place placed finish earned them a whopping $1,615! Less than 2lbs behind, Brian Snipes and Bubba Branch of Team Tightline finished in 2nd place with a total weight of 96.24lbs and collected $820. 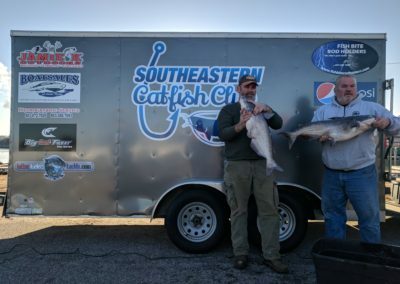 Steve Whitley and Shane Owenby of Team 2nd String finished in 3rd place with a 84.05lb stringer and collected $260. They also had Big Fish of the tournament with a 50.50lb montster blue and collected another $430 bringing their total winnings to $690. Cary Vanden Brock of Team Reel Addiction had 2nd Big Fish of the tournament with a 49.20lb bruiser blue and collected $185. 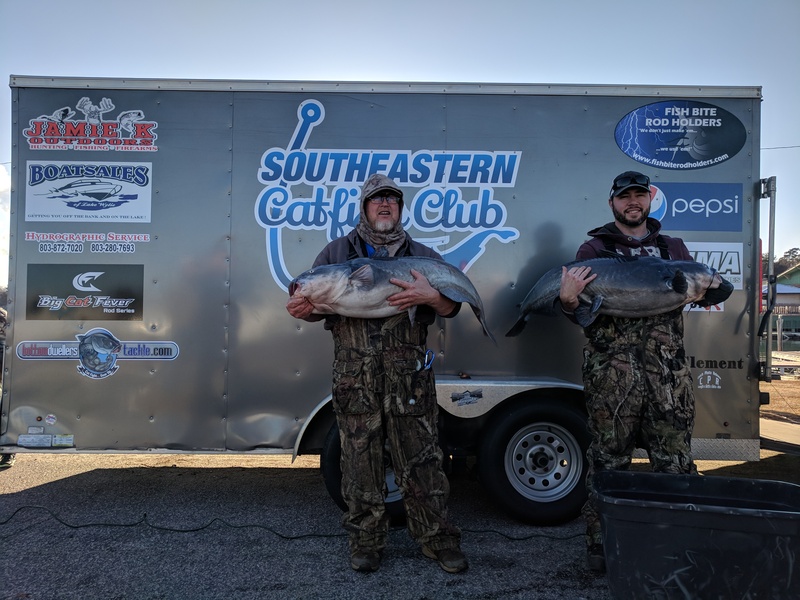 Congratulations to Jeff Manning and Michael Paciocco of Team Reelin’ the Blues for adding another win to their resume! 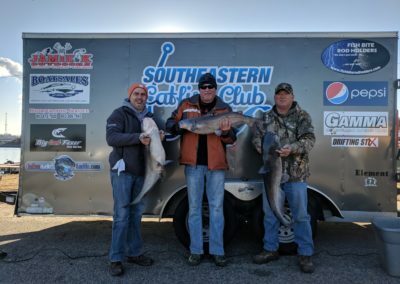 We look forward to seeing everyone next month back on Lake Wateree on February 3th! The other teams did not weigh in. 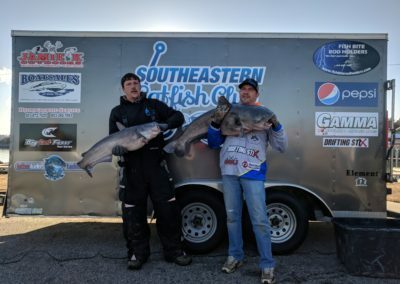 The remaining teams did not weigh-in.